World Cup QF: Will West Indies Surprise or Kiwis Equal Record!! West Indies vs New Zealand match is the last quarterfinal of World Cup 2015, and based on performances at Group Stage probably the easiest to predict the winner too. 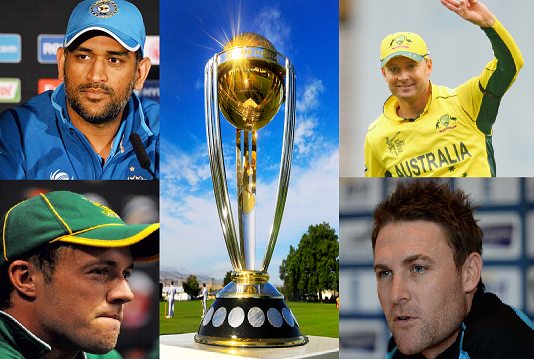 At Wellington, Kiwis eye record equaling (with Australia) 7th semifinal in World Cup, while West Indies eyes its 5th semifinal. A New Zealand win ensures that World Cup gets a new team in Final, since 1996 World Cup when Sri Lanka won. On paper it appears another one-sided result in the knockout match with the Kiwis thumping West Indies at home. West Indies is awaiting final announcement on Gayle’s fitness, but the in-form New Zealand may not bother much. Its bowlers have ensured 6 teams were bowled out and no team could score beyond 210 (by Pak) against them. Boult, Southee and Vettori have not only grabbed wickets but have been very economic too. Their batsmen have not faced tough time except in the game against Australia, which the Kiwis won by 1 wicket. Batsmen of both teams have been impressive with West Indies scoring a hattrick of 300+ scores in the first three matches. One of them also produced the world cup record double century by Chris Gayle. New Zealand on the other hand have been routing every team with batting. Batting first they have scored 300+ score, while chasing they have scored with a run rate above 5, even against Australia where they kept losing wickets. In the World Cup both have won 3 matches against each other. Overall in 60 ODIs, West Indies won 30, New Zealand won 23, while 7 produced No Result. Both had a whitewash of 5-0 at home, West Indies won 25, Kiwis won 18 matches and 4 matches produced no result. Overall, a West Indies win will surprise even themselves as the Kiwis are very strong in this World Cup, specially at home in Wellingtono.